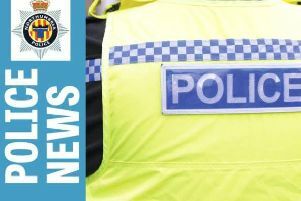 Three men were arrested after a police car chase ended in a crash at Widdrington. A police spokeswoman said: “Following a short police pursuit, a Volkswagen Polo collided with a road sign in Mile Road at about 9.25am on Saturday. “Subsequently, before coming to a standstill, it reversed into a police car, causing minor damage.